Winter❄️ is officially here of course a long time ago, but since I am resuming my blog after a really long time say about a month I just made that statement😜 not to forget after a new year post. I m always reminded of soups and hot bajji and pakora during winter season and of course not to forget the delicious cakes made during this season. 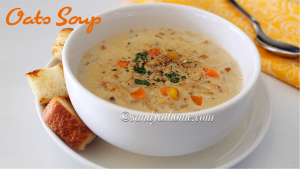 Well we are not dealing with cakes and bakes today so bringing to you a very healthy and delicious soup recipe up in blog today. 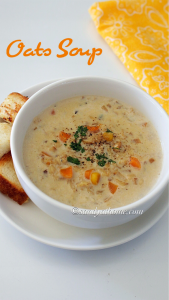 OATS SOUP is a rich, creamy and nutritious soup made with oats, milk and few veggies to make your winter a soupy one. 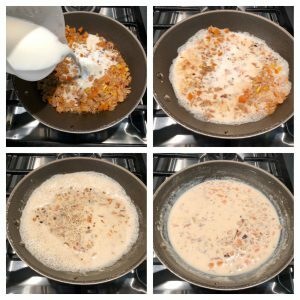 Clear soups and tomato soups are much boring I felt so thought to make something new but wanted it to be more healthy and innovative too so tried making this oats soup and I must say that it turned out to be one of the tastiest soup that ever tried making. 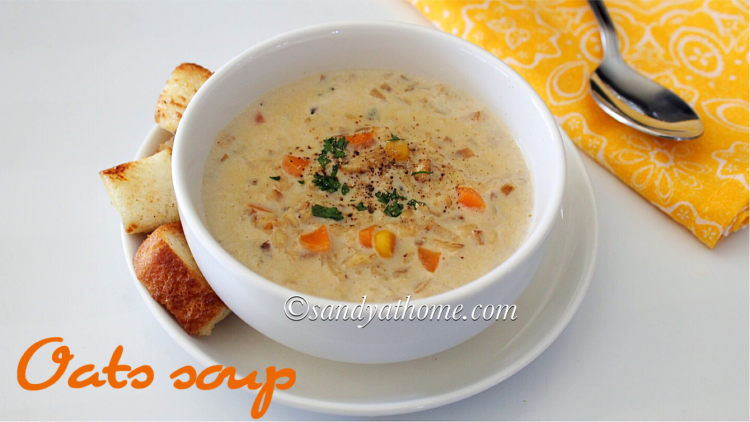 Yes simple handful ingredients combined together to make this yummy soup . I accompanied my soup bowl with homemade stove top croutons for which I shall post recipe in my next post. So lets get to the making! Keep all the ingredients ready. Heat butter in a pan add chopped onion and garlic. saute well. 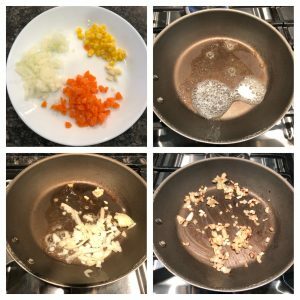 When onion and garlic looks sauteed add corn and chopped carrot. Saute it well in medium flame for a few seconds. Now add oats to it and give it a toss. Now add water to it and mix well. Allow the mixture to boil in medium flame till everything looks cooked. This should take about 5 minutes. 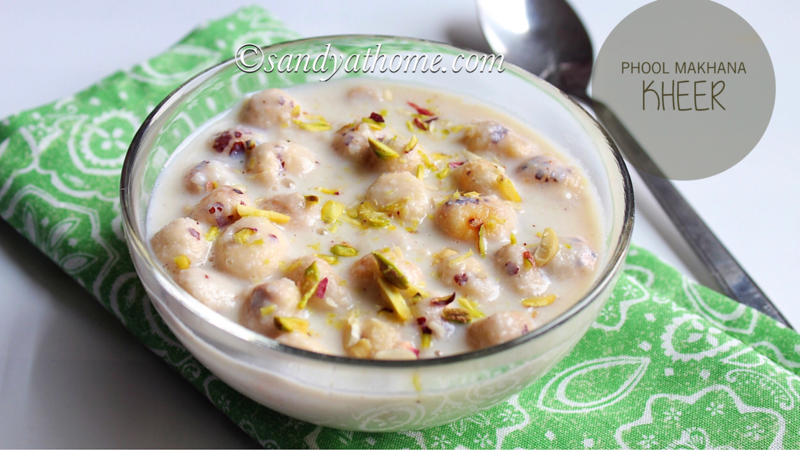 After 5 minutes when everything looks cooked add milk and mix well. Allow the mixture to boil really well in medium flame. When everything looks combined add salt and pepper. Mix well and put off the flame. 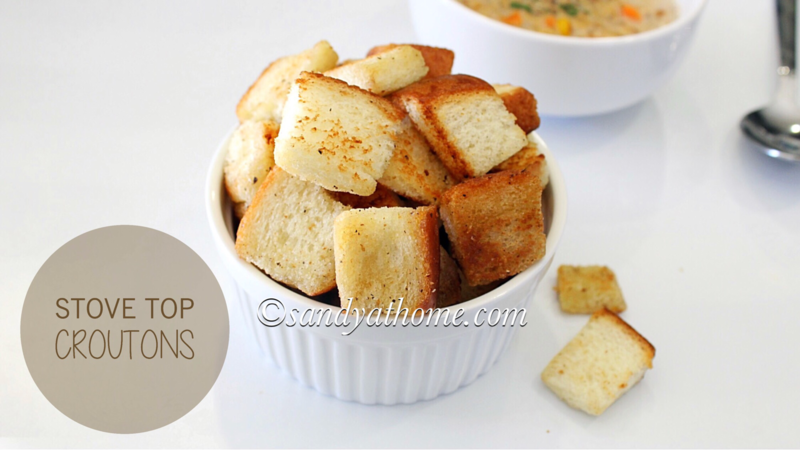 Serve it hot with croutons. 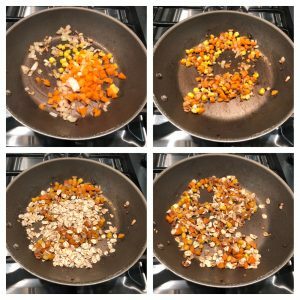 When onion and garlic looks sauteed add corn and chopped carrot. Saute it well in medium flame for a few seconds. Now add oats to it and give it a toss. Now to oats veggie mixture add water and mix well. Allow the mixture to boil in medium flame till everything looks cooked. This should take about 5 minutes.